Here are our most popular products, we hope that you will find what you are looking for. Travelling to Thailand can be a wonderful and fascinating experience, as the country offers so much to travelers, regardless of age and experience. Phuket is one of the most popular destinations in Thailand, and for good reason. The water is clear and warm, the beaches are clean and white, and the scenery and mountains are second to none. Of course, Thai cuisine is one of the world’s favorites, as always, served by friendly Thai smiles. 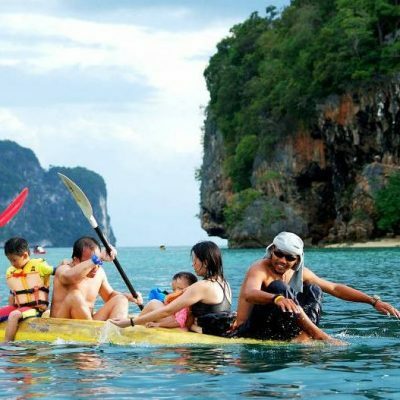 For these reasons and many others, tourists have chosen Phuket as one of the most popular destinations, not only in Thailand, but in all of Asia. 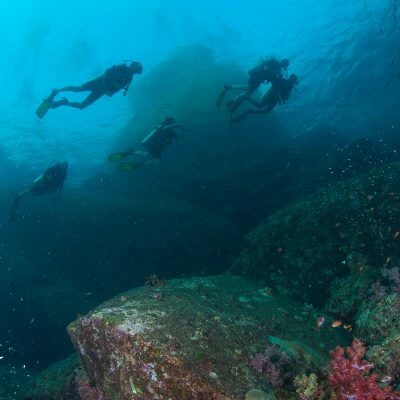 Namloo Divers would like to be a part of your next visit, and hope that you’ll discover a passion for this beautiful part of Asia, just as we have. As part of our passion for the area, we aim to provide visitors with the best experience possible, from sightseeing excursions for the non-swimmers amongst us, to Liveaboards and day long diving trips for the serious diving adventurers. 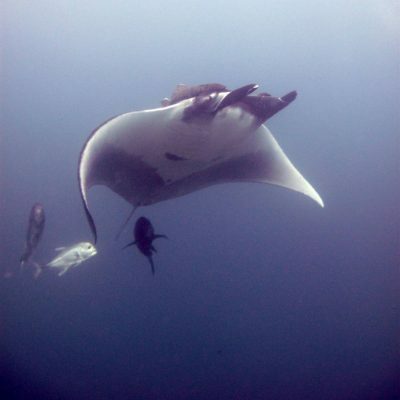 One of our most popular tours is a liveaboard visits to the Similan Islands. 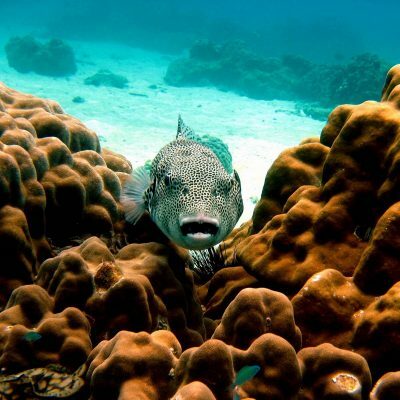 This destination is world-famous for its underwater rock formations, as well as the diversity of aquatic life that can be seen around the islands. Some visitors return year after year to see this beautiful location. If you would like to take a dive course, Phuket is a great place to do that, offering some of the most beautiful diving sites in the world as your reward for successfully completing the course. We are the first dive shop in Phuket to receive PADI certification as a PADI Recreational Facility. Furthermore, we provide a full range of courses, which can include private instruction at your villa or vacation home. To make your learning process more efficient, we also have an e-learning platform through which you can complete coursework prior to joining in-class instruction sessions. This feature greatly reduces your time in a classroom and increases your vacation time for enjoying the water and the great outdoors. 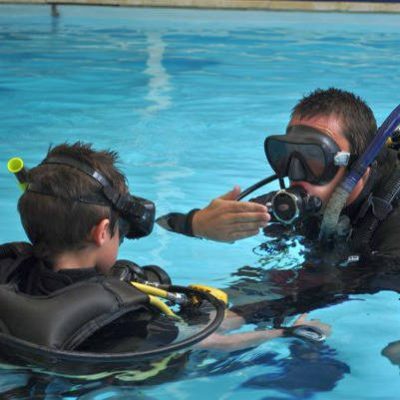 For your recreational diving as well as training needs, please feel free to contact us for more information. For those who love to scuba dive, Phuket is a favored place among all the places in Asia, and once you visit us, we’re sure that you will see why. 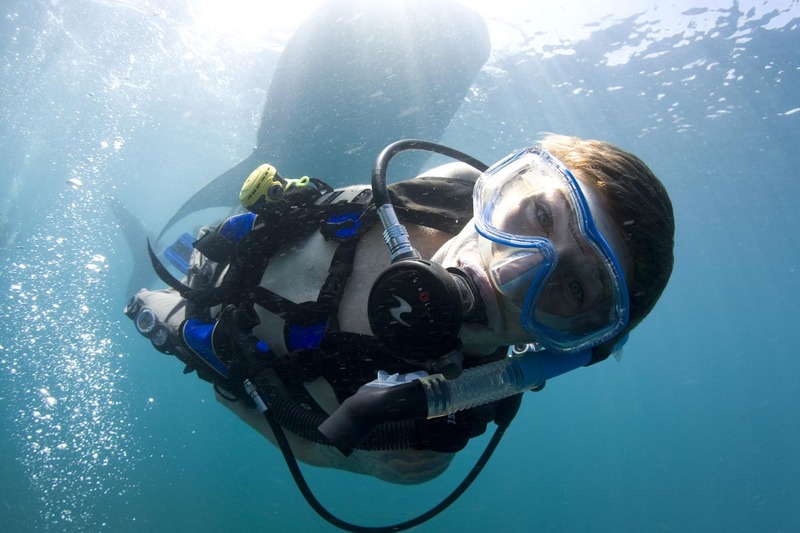 Namloo Divers is one of Phuket’s most popular and experienced dive shops, providing a wide range of tours and excursions, for both experienced divers as well as first-time snorkelers. Even our non-swimming visitors can enjoy a relaxing sight-seeing visit to some of Thailand’s most exotic beaches and beautiful scenery. Phuket is an island rich in history and natural beauty, and offers an amazing experience to all if its visitors. Our business is based in Phuket, diving day trips are provided throughout the week at times that are scheduled for maximum convenience. 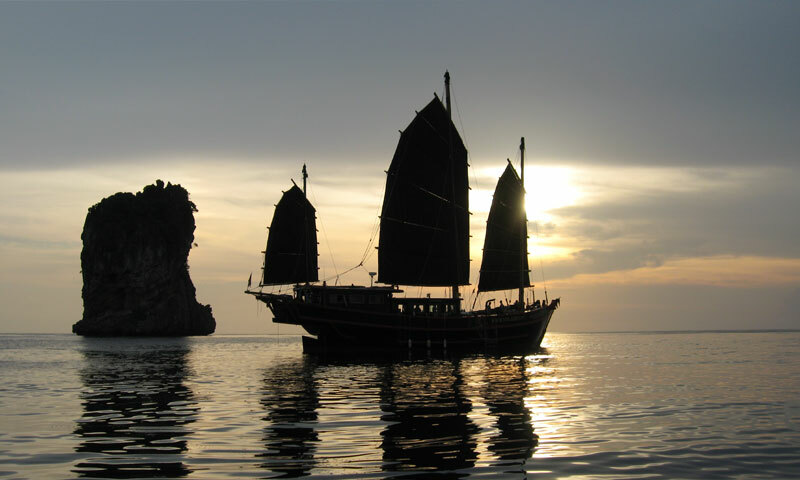 We provide liveaboard excursions, of which one of the most popular is Similan Islands. These are popular among divers around the world due to the amazing underwater beauty that can be seen, along with a wide range of marine and acquatic life. We also have regular courses available, which includes modules through which students can learn online through PADI e-learning. This approach can greatly decrease the amount of time students spend in a classroom, a benefit that is most important during a vacation. Having already completed online coursework before coming to Thailand, our future divers spend very little time in classroom instruction, and can start enjoying the wonders of the ocean as quickly and safely as possible. 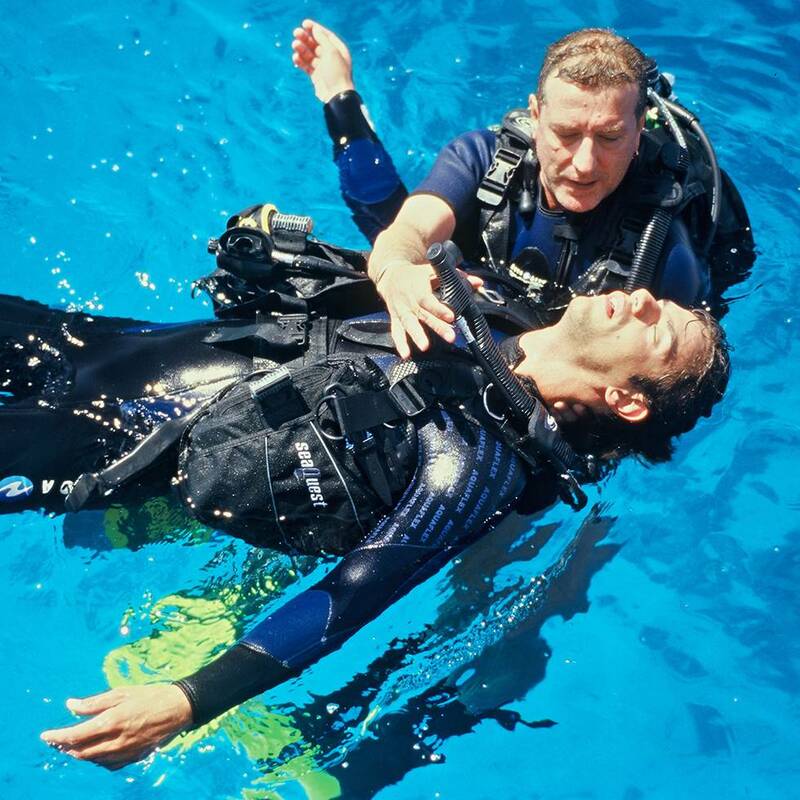 Furthermore, our instructors are highly experienced, giving all students individual attention and hands-on service, with an ever-vigilant attention to safety for all divers, both students and certified divers alike. 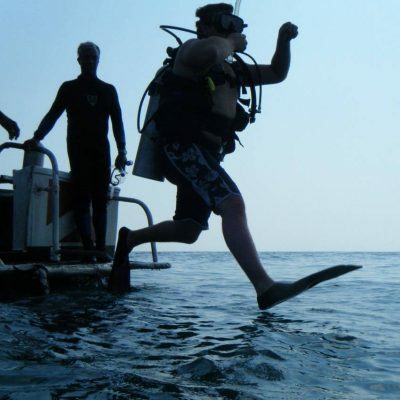 We can also provide in-house training, where an instructor can visit your villa (or home, for local residents) anywhere in Phuket, to deliver the full range of PADI courses. For many people who visit Phuket, scuba diving is their number one priority. Others come simply to enjoy the crystal-clear waters and white sandy beaches. Whatever your journey, please stop by at Namloo Divers and check out a whole new world of travel and adventure. Phuket itself is the largest island in Thailand, large enough to feel like part of the mainland and yet with secluded beauty spots, a National Park and many stunning beaches. Phuket still retains the atmosphere of an island paradise. The weather is predominantly sunny all year round with temperatures never lower than 27C/80F. Even during the 35C/95F highs of hot season, the cooling sea breezes help to give Phuket a very pleasant feel. Of course no trip to Thailand would be complete without sampling the delicious Thai cuisine! Roadside vendors and night markets are abundant, cooking up sensational street food while you wait. Be sure to try the hot and sour ‘Tom Yum Gung’ soup which is an ideal introduction if spicy food is not your thing. If you prefer the taste of home, there is a huge variety of restaurants to choose from: English, Italian, Indian, Lebanese, Chinese – take your pick! And for the night owls, Phuket has a thriving nightlife scene with lively bars & nightclubs so you can party the night away to your heart’s content. For those who have a thirst for adventure, we also offer a host of adventure activities including Skydiving, Sea Canoeing, Mountain Biking, White water rafting and much, much more! As an eco-friendly company we support environmentally sustainable practices and are actively involved with many environmental conservation projects. 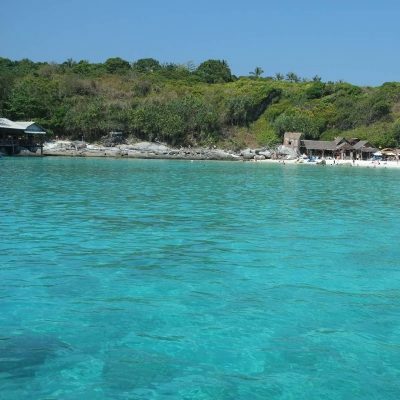 These include Project AWARE & Go Eco Phuket which holds coral reef clean-ups on a regular basis. 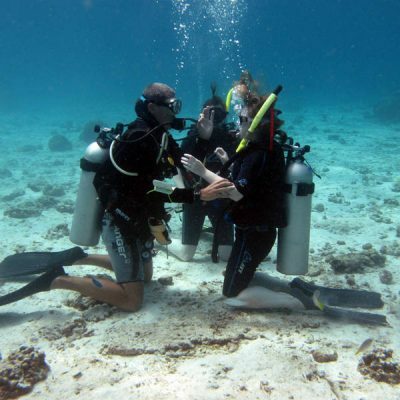 So whatever you are looking for, whether it be to try scuba diving for the first time, improve as a scuba diver, snorkeling, seek adventure and explore, or just to relax on one of our daytrips or liveaboards – we can make your dream come true! Please come and like, read, follow and share our blog for discussions on all diving related matters around Thailand and around the world. The guys at Namloo are very experienced and explained everything about diving clearly. They really focus on safety which really made my nerves go away…..
I’ve been to Phuket many times and have been diving on every holiday. I thought that these guys really knew the island and took me to some great spots. Thumbs up!!!!!!!!! Just returned from Thailand and had a fantastic time. I went diving with namloodivers and they were very professional and I got my first dive certificate…..